Each week we’re bringing you several different spotlight segments from the Summer’s biggest rock festivals including Epicenter Festival, Chicago Open Air, and, of course, Sonic Temple! 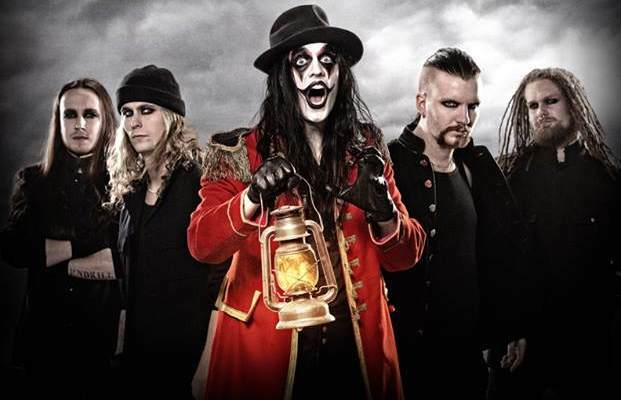 This week, we’re showcasing Göthenburg, Sweden’s Avatar – a melodic metal act with demented circus theatrics, making for one hell of a show! Avatar is a name that keeps coming up time and time again – and for good reason. The Swedish heavy metal group bring dynamic to an already-thriving metal scene with their melodic, but intense, reinvention of contemporary metal with frontman, Johannes Eckerström, adding a touch of flair donning cryptic joker-like face paint along with old-timey circus attire – that of a demented ringmaster. Avatar is comprised of Johannes Eckerström (vocals) Henrik Sandelin (bass/backing vocals), Jonas “Kungen” Jarlsby (guitars), John Alfredsson (drums), and Time Ohrström (guitars/backing vocals). Their most recent release, 2018’s ‘Avatar Country’ has had a very warm response from fans and is what Metal Injection calls “a wonderful ride…a worthy addition to the Avatar collection, showing off the band’s skill in crafting thrilling music that can be both heavy and catchy.” Following the release, the band even hinted at a featurette entitled “The Legend of Avatar Country” for the album and created a Kickstarter campaign to raise the $50,000 needed to fund it, ultimately raising over $188,000 – with the release date still TBA. Be sure to catch Avatar at Sonic Temple and enjoy the freak show madness yourself! Single-day tickets for the festival are still available HERE, and you can keep up with all the Avatar happenings on their official website HERE! “You are no longer lost wanderers, you are Citizens! Tagged Avatar, Avatar Country, Melodic Metal, sonic temple, Sweden. Bookmark the permalink.